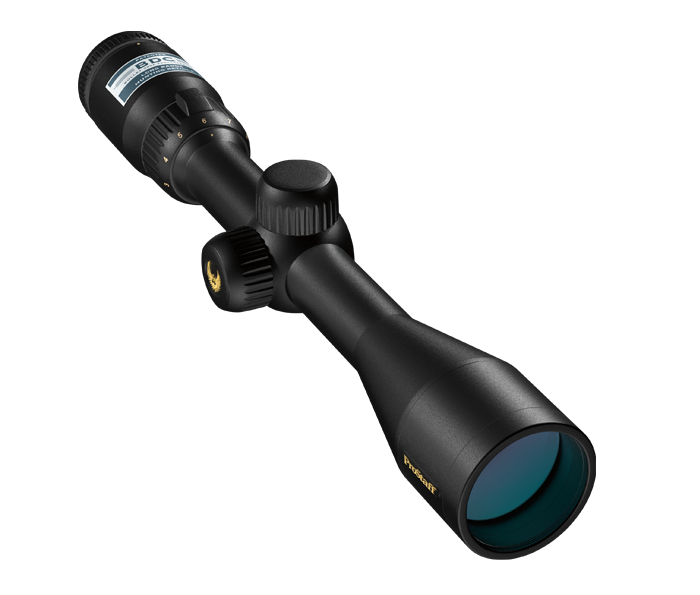 The PROSTAFF line of riflescopes will help you get on target and stay on target, in virtually any conditions. The entire PROSTAFF riflescope series integrates Nikon’s fully multicoated optical system, Spring-Loaded instant Zero-Reset Turrets and Spot On optimized reticles. Whether you shoot with a rifle, shotgun or rimfire, you can rest easy knowing that Nikon will never cut corners on optics, ruggedness or precision. Compatible with Spot On Custom Turrets. The BDC reticle allows hunters to hold ‘dead-on’ at ranges exceeding those previously thought possible. The BDC’s unique see-through ballistic circles offer an incredible advantage for long-range shooting—yet allow a normal sight picture for shorter range shots where the crosshair itself is the aiming point. Nikoplex is a traditional plex reticle. Multiple Layers of Anti-Reflective Coating maximize light transmission, brightness and contrast for an extremely bright sight picture. Constructed of Aircraft-grade aluminum with Type-III hard anodizing surface finish for maximum strength-to-weight ratio and optimum ruggedness. Positive-1/4-inch click adjustments get you zeroed in quicker and maintain your setting even with heavy recoil. Versatile magnification range offers the flexibility needed for any type of hunting situation, from heavy timber to the open prairie.